I'm 30 tomorrow! I am celebrating by drawing people smashing pickled eggs on each other apparently. 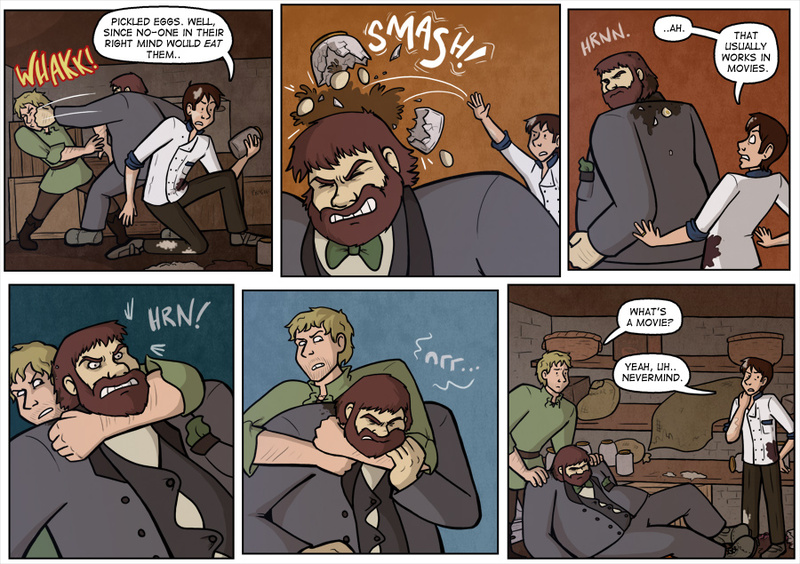 Also, Widdershins Vol 3 is on comixology now!